Crolin Gracie released a portuguese rant describing Ralph’s actions and attack on Flavio Almeida as “crocodilization” and short of worthy of the Gracie family name. 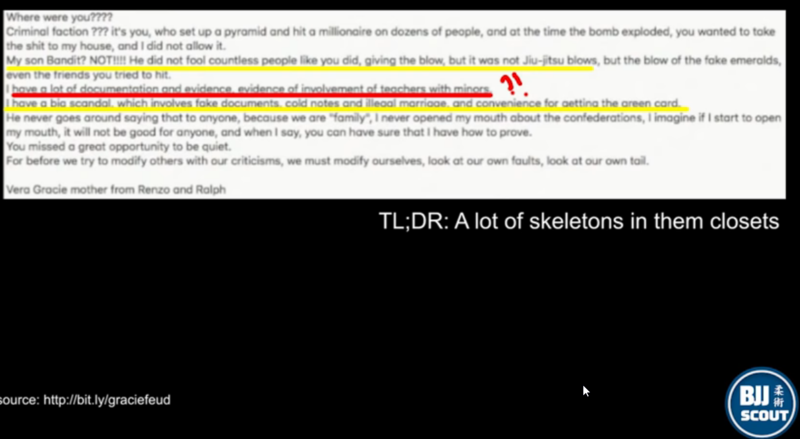 In the video you can clearly see through your body posture, the disdain and disrespect of the liar exploiter in relation to Ralph, with words and provocations. Ralph simply reacted to the disrespectful words and years of unprecedented cowardice in Jiu-Jitsu history with the Gracie Family and friends who made the name of this academy. Nowadays, this name has nothing to do with my family. They always act without ethics and without values. They said there were several assailants along with Ralph? Was he alone. In fact, the various aggressors wore the red shirt of this academy, people who later wanted to join Ralph. Where is the respect and professionalism you spoke in your open letter? Strange the subject that victimizes to be in the state of health as serious as they speak. He stayed in the league for hours after what had happened as if nothing had happened. Rolles was there and saw everything! Hypocrisy! “Before all this exaggerated victimization around the episode involving the Ralph and manipulation of the facts, I decided me to pronounce. I usually do not wash dirty linen outside the home, but not left me no choice but to put some dotted” is “. We never disclose others what we think about family matters. in this topic, I could me across historical and current facts involving cowardice, evil caratismos and quest for power at any price, going over everything and everyone. so, me I feel obliged to give my opinion to defend who is who, because hypocrisy is a problem of these liars, not mine and my family. Knocked Marola in the face of a championship in Brazil. Is he not the one who repudiates any violent act? He threatened Rigan Machado in the USA. The partner of the first academy outside of Brazil, felt injured and finished the society. They invaded the gym at dawn to pick up files and objects without prior authorization. When the mother died, the one who paid the ticket for him to go to Brazil was RENZO. He punched Aloísio’s daughter in a championship. Cowardice against a WOMAN. Nobody says anything about it? The nephew and the niece were kicked out of their Academy. Expel the family? Do you authorize people to gloat about family members? Even the chief threw his nephew Gracie’s kimono into the bin, intimidated him and threatened him. – Beat applied to the wife of Rolles, Angela and the two sons of Rolls, (Rolles and Igor), who were still very small. As soon as the Rolls died, they got hold of the Rolls gym, paid two months to Aunt Angela, and then did not give them another penny, knowing that the academy was the only source of income for Angela and the children. How can we name an attitude as it is? They manipulate history as they see fit. Upon entering a gym, the story told is that Rolls was an instructor and not a primary teacher and that the first black belt woman in the Family was Carla. There is no mention of Renzo, Machado, Rillion, Roger and many others who named this organization. – Let the child be propped up by the dome. There was a gentlemen’s agreement with Ryan, made while he was alive, which consisted of not opening a branch in Sao Paulo, since Ryan himself and his students always fought for that flag. To everyone’s surprise, after Ryan’s death, he said the deal had been buried and opened numerous gyms in the area. What is the name of this? Worst cowardice, he waited for Ryan to die to commit this act, for he would not have the courage if he were alive. He promised Rigan, who is his cousin brother, and also helped build the name of the organization, which would not open branches near his gym, but did not keep his word once again. A teacher from one of the branches gave a white armchair. Intentionally hit a WHITE BAND. My God! That is a cowardice without size. If they had the least respect and values ​​as they say they have, they would not have acted that way against the Gracie family and childhood friends. They have already practiced the worst assaults in Jiu-Jitsu history. But nothing is worse than cowardice through attitudes. They always wanted to erase the son of the boss (boy of gold and good that had everything to be one of the leaders of the network of academies). This has always been one of the summit’s plans since the beginning of the expansion. Everything was premeditated and coordinated. They put him in an inner town, like another teacher from one of the many branches and without ANY active voice. They commented that they were kneading him in training so he did not grow up, and in the main academy they chose a teacher in whom they control, command and disguise. Fearing the growth of the owner’s son, they would say: “King’s son, little king wants to be … and we’re not going to leave” That is a cowardice without size in the history of Jiu-Jitsu. And what astonished me most was the fact that all this injustice was done with the approval of his father. 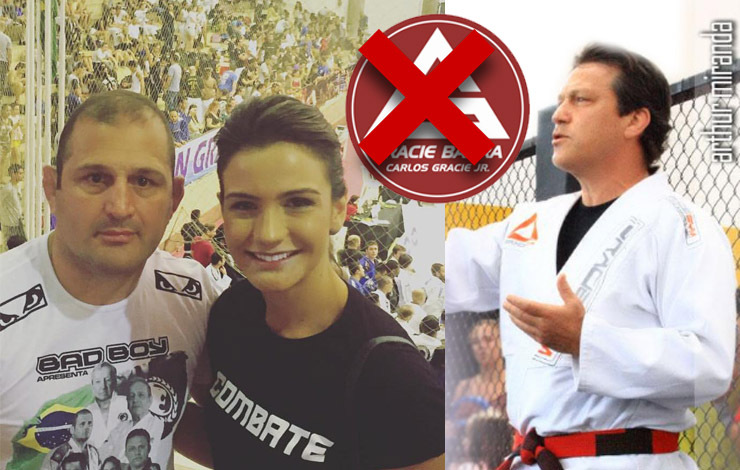 They without the support of the Gracie Family would be nothing! The worst enemy is the one who uses the name and is a friend. They do not support anyone who can grow, everyone has to be under their control. If I were to quote all others harmed, I would write a book. They speak as if they were the masters of truth and the right people in the world, but beneath the cloth they act like the worst human beings. When they need it, everyone comes to ask for help and they are helped, with Renzo our main Master and greatest supporter of the Gracie Family. Do not forget that Ralph is the brother of Renzo and Ryan. Renzo, Ralph, Rolles, Kyra, Gregor, Igor, Rayron, Ronis, Rillion, Robsinho, Neiman and many of the family, WE ARE ONE! Real people, of character, who do not sell themselves and who put their faces on the name of our family. I know that for every situation I mentioned, each one has its explanations, just like Ralph. Only I will not be quiet seeing such antics. I received several calls from members of this team who are my friends, saying that invariably this would happen because what they are doing hurts the honor. So, once and for all this academy is not from the Gracie Family. 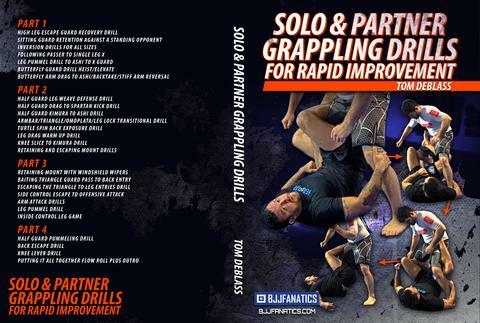 In fact, all these topics show that in fact, they are against the family and the closest friends who graduated in Jiu-Jitsu. A black belt, heavyweight becoming victimized to the extreme, much younger, active in competitions, but actually a loose one! It is clear in these topics mentioned above, the falsehood of these members to hide behind a well written letter, talking about respect and professionalism. They continue to threaten and act with arrogance to teachers of other flags. “If it’s soft I’ll open a gym next to yours and you’ll go broke.” I have heard this speech several times. We must remain vigilant and united against the propagation of lies from these people and their students. Time will show the truth. What has happened for years is disturbing and disgusting. 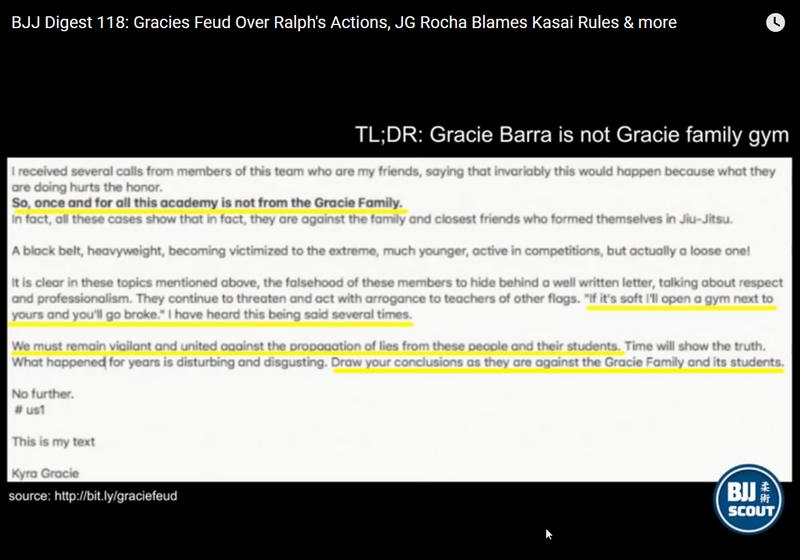 Draw your conclusions, as they are against the Gracie Family and its students.